Charles Titus (1923-2011) was a mathematician whose professional life encompassed a wide range of activities and accomplishments. He was born June 23, 1923, in Mount Clemens, MI and received his BA degree from the University of Detroit in 1944; his Master's degree in mathematicas from Brown University in 1946; and his Ph.D. in mathematics from the University of Syracuse in 1948. After graduation he taught for one year at the University of Syracuse. There he met Marian Brackett, who was working on her Master of Fine Arts degree. They married later that year when Chuck joined the faculty of the University of Michigan in Ann Arbor, where he was a professor until his retirement in 1989. 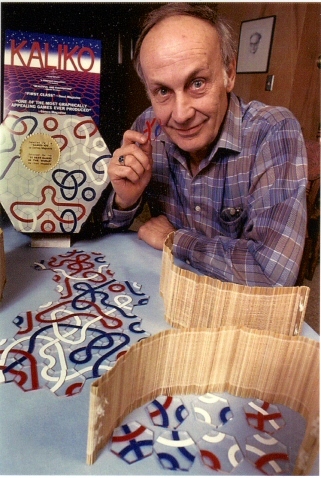 In the early decades of Professor Titus' career, his work centered on topological generalizations of the Riemann Mapping Theorem. In the late 1960s, he proved a famous conjecture of Caratheodory: that every closed convex, analytic sphere-like surface has at least two umbilics (i.e., singularities of the curvature). Later, he worked on the theorems in the singularity theory of sense-preserving and area-preserving maps and in perturbation theory of degenerate critical points, and in mathematical economics. His work was always characterized by insightful geometric intuition into analytic problems. His work was especially well received in Europe, where he made extended visits to universities in Pisa, Copenhagen, Bonn, Arhus, Helsinki, Strasbourg, and, most important, to the Institut des Hautes Etudes Scientifiques in Paris. In 1958-59, Professor Titus spent an academic year at the University of Berkeley. Chuck's primary mathematical interests were in topological generalizations of function theory and in various classical global problems in differential geometry. His main hobby was the development of "design modules" wherein certain sets of basic elements can produce large numbers of different design patterns. In the 1950s, Charles Titus began a collaboration with Craige Schensted that led to the invention of a number of challenging and popular abstract board games, including "Y" and "Kaliko", both now produced by Kadon. Up until 1992, Kaliko was being produced and marketed nationwide by Chuck's son, Stephen Titus. The game went into hiatus until 1995, when Kadon Enterprises, Inc., took over publication under exclusive license. Charles Titus was known for his creativity in many aspects of his life. In particular, he was such an accomplished pianist that he was able to do exciting improvisations on the piano in jazz and blues. His quick wit and playfulness often made him the life of the party. He was a skillful sailor and as a young man sailed Lake St. Claire. He later sailed the British Virgin islands and off the coast of Denmark with his family. Chuck loved nature, and the family spent seven summers in a cottage in the woods of Leelanau County on Lake Michigan. His desire for new and novel experiences, his sense of aesthetics, and his strong appreciation for the arts and for Mexican culture were all well fulfilled when, after his retirement, he and Marian spent 18 winters in San Miguel de Allende, Mexico. 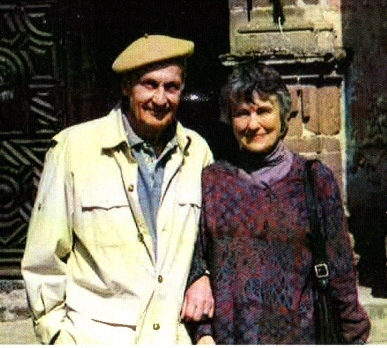 When Charles Titus passed away, he and Marian had been married for 60 years. Marian is a very talented artist and sculptor, and their daughter, Kathleen, is also a fine artist. We are happy to host Kathy's webpages. Chuck will be missed, and we honor his memory. We are grateful to have known this brilliant, kind and gentle man for those many years.